Although He spoke not a word. Of a more lasting kind. And His light to show your way. I prayed for most of all. 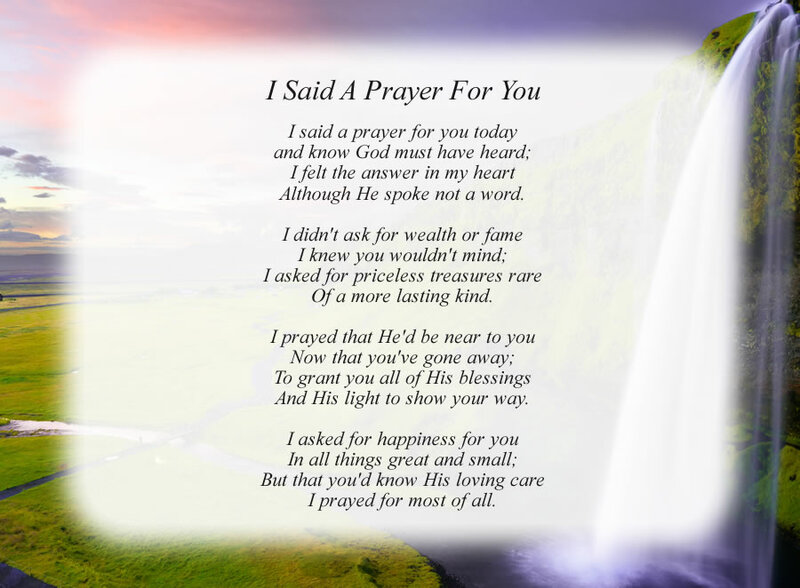 The poem, I Said A Prayer For You, is free and printable by opening or downloading using one of the three links below.